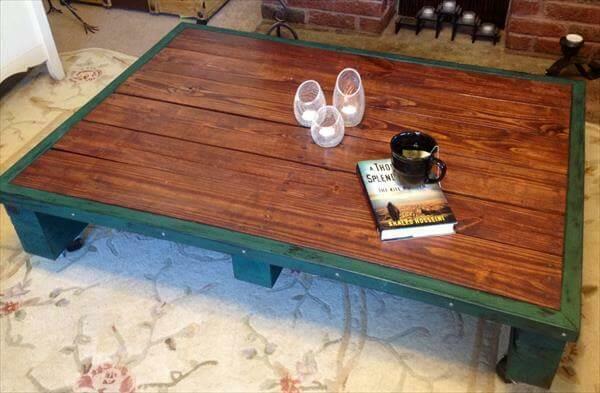 Now we are again with lovely recycled DIY pallet furniture to suit your sitting style and entertaining of eatables and beverages to be right over on the top of this DIY pallet coffee table in green forest enjoyable boarder shade. 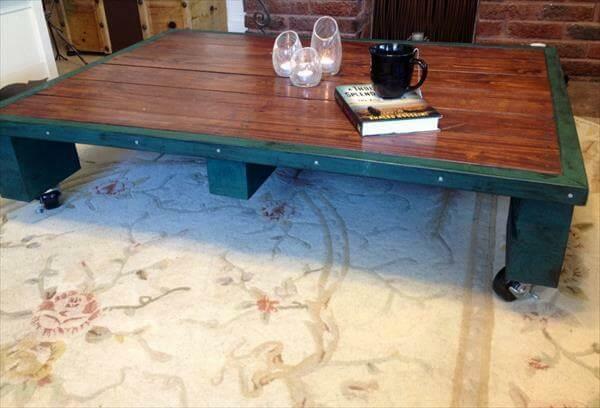 We also call it a cocktail table for some time to manage the service of tea and coffee in the living room or sitting room. 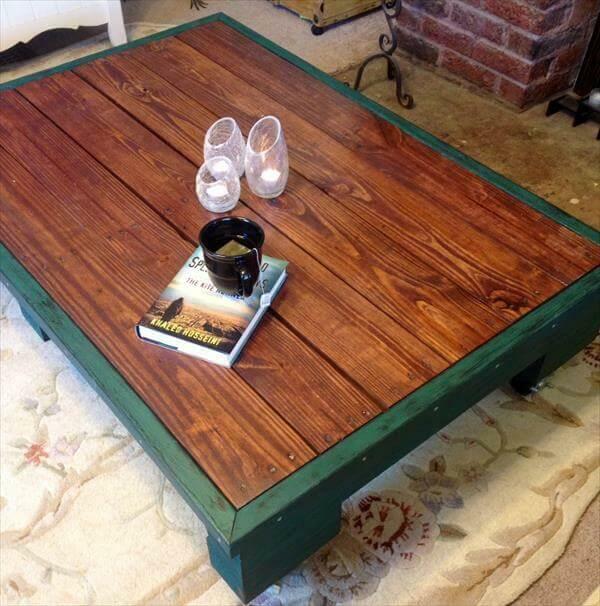 This table has been shape up in approximate 37” X 48” inches dimensions and has been enameled and painted in light green shade to be well-built and chic. We have given it a highly smooth and fast mobility feature with metallic casters at the four corners of it. 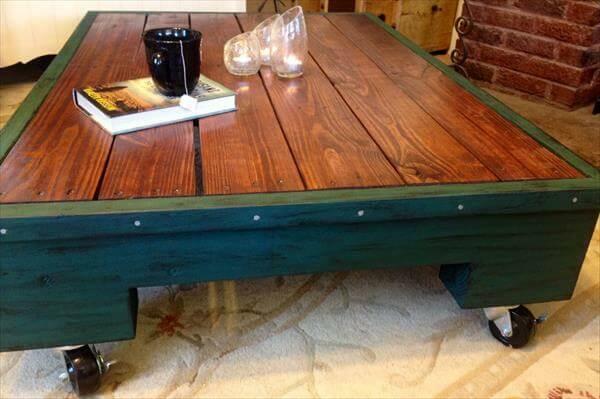 Make it finish with any of weathered brown or maple colonial stain for desired way shade to it and enjoy stunning DIY pallet table free of cost through pallet wood.